Usually when a filmmaker dies, it is long after they have retired, and long after they made their last film. Not so with Nora Ephron, who died yesterday after having been ill for a long time. She was 71, and could very well have made several more films, and written more books and articles. Now she will not. That is a great loss because she was great at what she was doing. She was one of my favourite filmmakers from the last decades. My love for Ephron has sometimes been met with surprise or disbelief, but there really is not anything strange about it. She made films that were funny, humane, moving and often lovely to look at. She had a delicate touch, and she knew how to capture the finer details of emotions. She could also be very funny. She has written her fair share of modern classics, either directed by herself, or by men like Rob Reiner or Mike Nichols. She has been autobiographical, and she has been drawing on film and TV history. She helped to keep that history alive. Billy Wilder and William Wyler allegedly said to each other after Ernst Lubitsch's funeral. "No more Lubitsch." "Worse than that, no more Lubitsch films." Ephron was obviously inspired by Lubitsch, and alas, now there will be no more Ephron films. Or rather, no new Ephron films. The old ones still live. A recurring theme in her films was that the past, and the dead, never really went away but were still with us. We can see that for example in Sleepless in Seattle (1993), Michael (1996), You've Got Mail (1998) and Julie & Julia (2009). Now her films will make sure Nora never leaves us. The library in Farsta, the suburb of Stockholm where I grow up, did not have many film books. A dodgy one in Swedish and Truffaut's interviews with Hitchcock was all there was. So I had to educate myself, as a (very young) cineaste. One day in a second hand book store in downtown Stockholm I found a well-read copy of Andrew Sarris's The American Cinema: Directors and Directions, heavily annotated by an unknown former owner. I bought it on the spot, and I have yet to put it down. When I found it I had already developed my own tastes in cinema, and I noticed that several of my favourite filmmakers were in his categories "Less Than Meets the Eye" and "Strained Seriousness". I was particularly confused as to why David Lean and Billy Wilder were less than met the eye. He did not like Fred Zinnemann either. But it did not matter, the point is that I did not use Sarris to tell me what was good and what was not, I already knew that. I used him as a way to sharpen my own views, to engage with his thoughts and to agree or disagree, whatever the case might be. I also read him for the luxury of being in the present of somebody who took film seriously, passionately and intelligently, and who also knew how to write seriously, passionately and intelligently. So even if he did not influence my opinions, he helped me become the historian and scholar that I am today. The first dissertation I wrote as a film student was a study of the films of David Lean (an awful piece, even though it has some good ideas). My Master dissertation was a study of the films of Howard Hawks (a piece that I actually can read without much embarrassment). My thesis, which I just sent of to be printed and bound, is a study of the films of Hasse Ekman. I did not quote Sarris in the first, but he does figure in the other two. Of course. He is frequently misunderstood by his critics, not least by Pauline Kael. He did not disregard other contributors such as screen writers, neither did he disregard the context. His views on cinema were suitably complex and evolving (he later changed his mind about Wilder for example, and moved him up to the top of the pedestal), and about "auteur theory" he said that it was "not so much a theory as an attitude". I never really understood why it was even called a theory, unless for polemical reasons. And polemical he was. 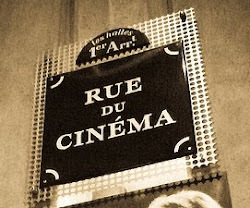 "In cinema, as in all art, only those who risks the ridiculous have a real shot at the sublime." "Anyone who loves the cinema must be moved by Daughter of Dr Jekyll, a film with a scenario so atrocious that it takes forty minutes to establish that the daughter of Dr Jekyll is indeed the daughter of Dr Jekyll." He once said "People think I'm dead, but I've only moved to Los Angeles, which pretty much amounts to the same thing." Alas, now he really is dead, and the world of film criticism is the poorer for it. We all are poorer for it. As part of my ongoing Henry Hathaway project (thus will be my fourth post on him) I have decided to write about Spawn of the North, a film of his from 1938. There are many striking things about Spawn of the North but perhaps the most appealing thing is its leisurely pace, and attention to character and location. It is set in Alaska and is about a small fishing village, and the conflict between poachers and honest fishermen. But the actual story takes the back seat. The film begins with about five minutes of wildlife footage of fish, birds and bears, and then we are introduced to the main characters, Tyler Dawson (George Raft) and Jim Kimmerlee (Henry Fonda.) Dorothy Lamour, Akim Tamiroff and John Barrymore are also in the film. But even when they are introduced there is no story in particular. For the first half hour it is unclear what the film is supposed to be about. Then a particular plot starts to develop and the two friends are pitted against each other, as Jim wants to be an honest man whereas Tyler gets mixed up with poachers and even killers. But the question "What is it really about?" is the wrong question to ask, because it is obvious from the beginning that it is about this place, at this time, and the people in it. It has a very authentic feel to it, it is hard to know whether it was shot on real locations, or on a purpose-built set (according to imdb.com it was partly shot in Alaska) but it does not really matter, since what matters is that it feels genuine. The cinematography by Charles Lang, Hathaway's regular companion, is not as surreal or impressionistic as in some of there other films together, but it captures the beauty of the setting, and it is shot with great depth of field. The camera is also somewhat unstable, swaying with the waves, which adds even more to the genuine feel of the film. It is also a brutal and emotional film, for example a nightly ambush on the fishermen by some salmon thieves is surprisingly bloody and raw. The film does not feel like if it was from 1938 and this is an important aspect of the film. It feels like if it should have been influenced by films of the 1940s, such as neorealism and Roberto Rossellini. But it is not. It is instead a typical Hathaway film, although far from the conventional idea of what a Hollywood film is (was) like. This is not to imply that Hathaway was unusually ahead of his time but rather that the idea, this ideal type, of Hollywood cinema so often is narrow-minded and faulty. Admittedly the set-up, with two friends ending up on opposite sides of the law and being torn apart by having to fight each other, when they really love each other, is common enough, but the film, as suggested, is not about the story, the narrative, but about character and place, and the film is taking full advantage of the setting. For anybody interested in studies of authorship, Spawn of the North lends itself naturally. It is the kind of story and milieu that Raoul Walsh would have enjoyed working with but had he made it it would not be so slow and not as interested in community as this one is. The pacing and the community is typically for Hathaway. He has always shown more interest in character and in making beautiful compositions than in propelling a story, and Spawn of the North is no different. Hathaway is less focused on forward-motion than Walsh, instead Hathaway can spend ten minutes on "nothingness" or, better, stillness. There is also a connection to another filmmaker more interested in characters than story, Howard Hawks, especially since the film is co-written by Jules Furthman and Talbot Jennings. Furthman worked with Hawks on about six films (it depends on how you count), some of which are Hawks's very best. But Spawn of the North would not be mistaken for a Hawks any more than a Walsh. The pictorial beauty is much more elaborate than in Hawks's own work, and the interactions between the characters are nothing like in a film by Hawks, nor is the world-view that is expressed. To some extent Spawn of the North is a strange film. Who would be the intended audience? I could easily see how people would get bored since very little happens, until the very end. I would imagine that the general interest in the history of salmon fishing in Alaska was rather low. This is not a film I would necessarily recommend to everybody, even if it has plenty of humour, beauty and empathy, and the acting of Henry Fonda. Yet the very things that might make it uninteresting for some is also what makes it so interesting for a film scholar such as myself. It is a seminal film in Hathaway's career (and in his creative partnership with Charles Lang) and rather memorable. One wonders what André Bazin would have made of it. Collection of additional online material here. A new piece, about Souls at Sea. The first time something written by me got published was in 1997 (an article about Alexander Mackendrick in the Swedish film journal Filmrutan), and ever since then I have written essays, articles, reviews, blog posts and done interviews, alternating a life as a critic with a life as a projectionist, administrator, festival organiser, archivist, actor, scholar and lecturer. I have done pretty much all one can do when it comes to film, including making short films on my own. I feel I have a pretty solid knowledge about all aspects of film, the how, the when, the what and the why. And yet when I write about a film I am always very much aware of my inadequacies. Even after having seen a film three times there might still be things that I have missed, that have escape my attention. I might read things into a film which were never there, and most certainly were never intended by anyone to be there. I may also struggle to explain why I like a particular film and not another one which is very similar. There are so many small things that affect us when we watch a film and anything we might say about it is merely a construction after the facts, an effort of our part to intellectualise a feeling, which we may or may not be able to fully understand. We may for example say that we did not like film X because it was politically conservative, yet we do like film Y even though it is equally conservative. Or let's say that somebody has been watching a film with a long car chase. Afterwards she says "That was a boring film. I don't like car chases, don't see the point of them." But that very same person also happens to love Bullitt (Peter Yates 1968), even though that has a long car chase in it. So it was not the car chase in itself that was the problem, even though it might have felt like it. It was perhaps rather the way the car chase was edited, or the way the car chase was integrated in the film as a whole. But that is more complicated, and just by watching the film we might not easily comprehend what it was we liked or did not like. Not really, even if we think so. It might be "Like an itch you cannot scratch. ", as Morpheus says in The Matrix (Lana (formerly known as Larry) and Andy Wachowski 1999). But the best thing a critic can do is to try and explain how she felt and why, with some humility. I am writing this because of the recently broadcast discussion between A.O. Scott and David Carr at the New York Times (here), which has since been doing the rounds on the internet among the usual, and un-usual, suspects. In the episode Carr attacks the art and the concept of film criticism, with arguments such as "Who are you to criticise somebody's work? ", "A critic is just one guy. ", "Critics never like films that are popular at the box office. ", "Critics are elitist." The only argument he does not use is "All critics are failed filmmakers." Now, it is not clear whether Carr is actually believing what he says, or if he is just teasing Scott. One would hope so because if not he is very clichéd. I have heard all of those things before, many times, and I just do not understand any of them. We all criticise everything all the time. That is part of human nature, and it takes many forms. From saying "That's an awful hat that guy's wearing!" to voting in a general election (because by voting for this particular party I am criticising all the other parties). There is no reason why we should not write criticism in newspapers or any other outlet. As A.O. Scott pointed out, most of the things people say about critics are just myths, based on straw men critics. I think it is safe to assume that few of those that attack critics have read all that much criticism, and could not be bothered with it, which is just fine. There are elitist critics (whatever that is) and there are "popular" critics who are mostly interested in the recent blockbusters, and then there are those that are equally excited about the latest superhero movie and the latest film by Béla Tarr. The argument that critics are all failed filmmakers makes even less sense, because the implication is that the critics hate all films because they themselves failed at making any. But has there ever been a critic who hates all films? Is such a person even conceivable? It would be interesting if practising filmmmakers were also writing film criticism, but there is no reason to think that they would be more relevant or insightful than film critics who never made a film. You hear the same argument made about music critics, and it is as dumb there, but I wonder how common an argument it is in other forms if criticism. Are food critics called failed chefs? Are car critics called failed car makers? There is also the view from filmmakers that it is very hard to make a film and therefore not fair to critique it afterwards, since all involved did their best. But that is neither there nor here. If that was a relevant argument we would hardly ever be able to critique anything. "I'm sorry, this soufflé is not any good, it's too much salt in it. I'm sending it back." "Do you know how hard it is to make a soufflé? How dare you criticise it?" We can only judge the result, not how hard it was to make. But then you hardly see any critics say "This film was awful and I don't understand why. For crying out loud, how hard can it be to make a multimillion dollar action film in which aliens attack New York?" Another argument is "Why do we need critics? Why not just let the man on the street do the criticism." It is not clear what the difference would be though. It would still be just one guy, and who is he to say what is good or what is bad, and who gave him the right to criticise somebody else's work? Anybody can be a critic, just as long as they are able to articulate how and what they feel. There is little point in criticism which only says "This film is good." unless perhaps it is from somebody that you know well, and have the exact same taste as. But do we even need critics? Well, no, not in the sense that we need doctors and firemen. But we do not not need them either. Reading good criticism is just as rewarding as watching a good film or reading a good book, it is just another form of expression, and just as valid and legitimate as any other form of expression. Tom in Metropolitan (Whit Stillman 1989) says "I don't read novels. I prefer good literary criticism." which is pushing it a bit too far... But good criticism can help as make sense of the world, of our thoughts and our likes and dislikes. It can help us grow. Good criticism might make us appreciate a work of art (be it a painting, a novel or a film) that we had not understood or previously liked, or it might help us navigate among the overwhelming amount of books and plays and films and albums out there that we do not have the time to read or watch or listen to. If I am interested in punk music I might want to read punk criticism to find out what to look for, where I should begin, and then after getting my bearings I can further explore on my own. Of course there is a lot of bad criticism out there, bad because being inconsistent, hypocritical, offensive, arrogant or a-historical. But we should not judge criticism by its worst practitioners.